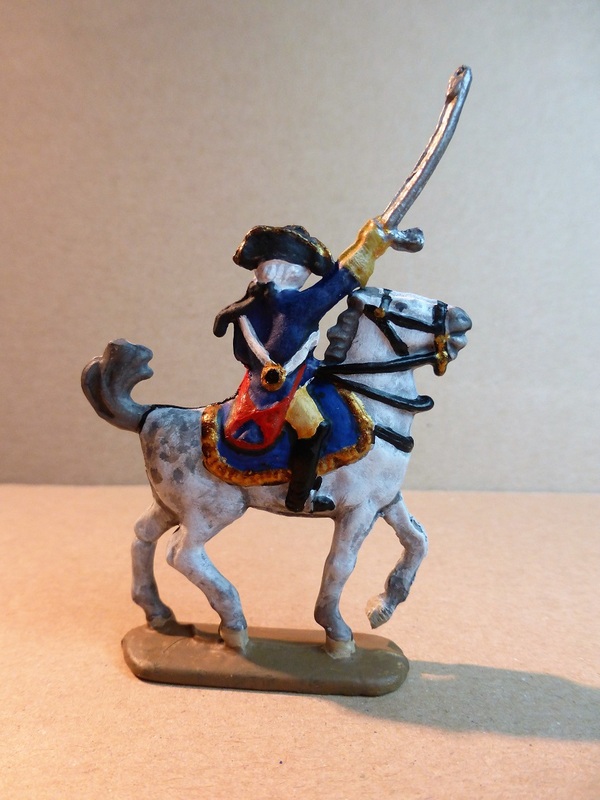 Here you can see some painted examples of classic tin figures. Some of them I have made myself when I was a child. And some others I have bought on a fleemarket. I like them and I thought about making some new ones, to bring back some childhood memories. MABO wrote: Thanks, Peter. Around 4cm. Thanks for the info Jan! Thanks Markus. Childhood is the keyword. I was thinking about making some of them in the old moulds... But I think I have to finish my 1/72 projects. Nice figures! Have also dug up some from my childhood and shown here! Fun for adults! Well, us, at least. 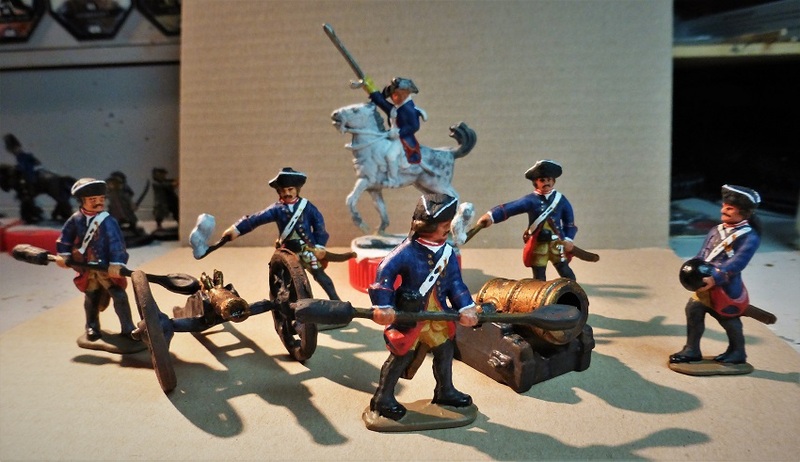 I have expanded this range with two guns and crew. 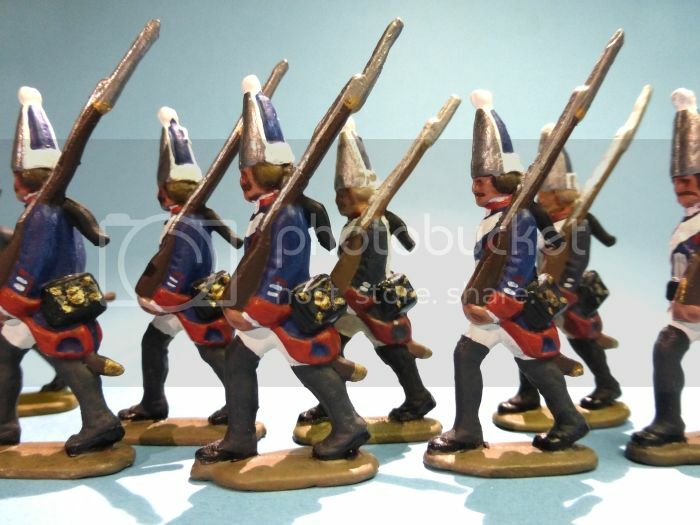 These are Prussians from the 7YW. The officer in the background is not ready yet. He is the next one! Looking great! And the officer in the background do look a little unready! In the meantime he got boots. Also childhood-memories for me too. We are located just 50 Kilometers from Nuremberg. So every toy store in my area had these moulds and sets. But my parents thougt it wasn´t the best idea to give me liquid pewter in my hands. But nevertheless I had some moulds. Where is Baron von Münchhausen? The officer is ready now! That slopping musket pose is very pleasing to the eye. 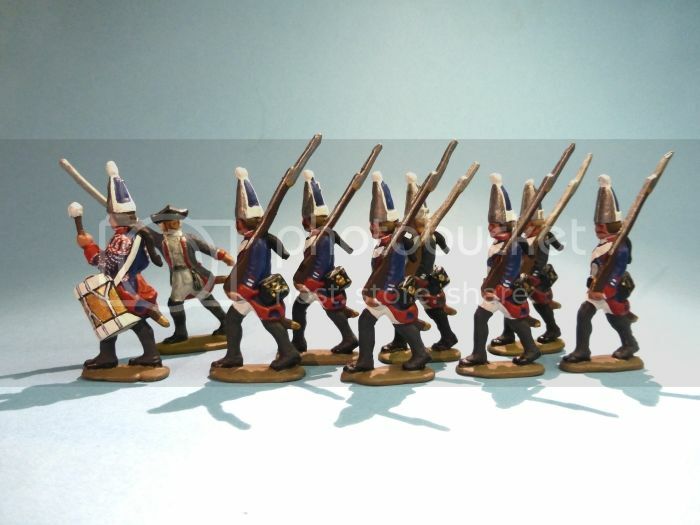 In fact great figures for an army on the march. White metal prices are sky high at present. 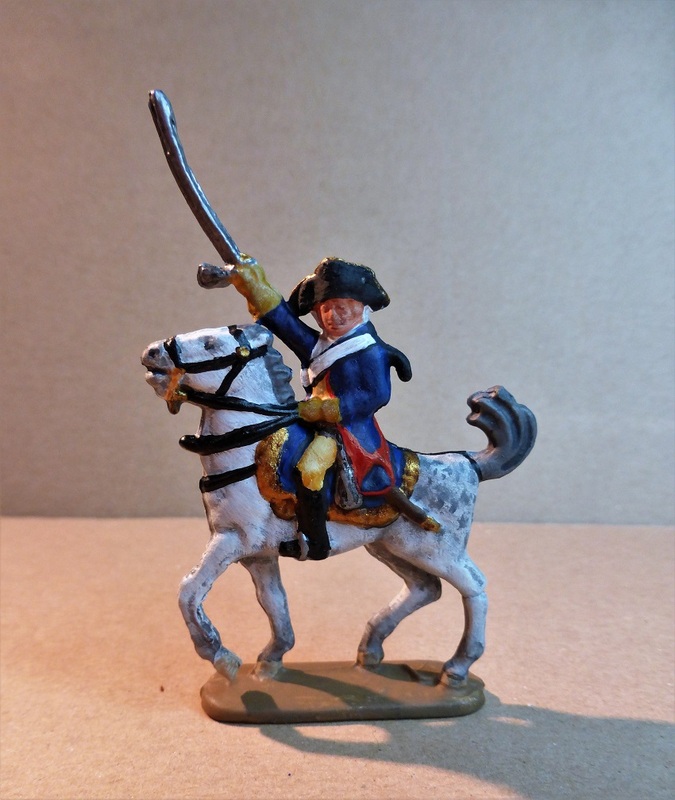 The cheapest way is to produce the hollow style toy soldiers like they did decades ago.